These sites are the latest to fold under the pressure of making a profit. The problem with news websites though is that news gets old. News is not evergreen content – most news articles have a quick spike in traffic which is gone within hours and then never searched for again after about 48hrs. That is very tough content to monetize. I have a friend who is considering a replacement site. This site would be a cooperative of sorts, or at least a place for people who want to write about the Bay area to be able to do so. I thought I would add this post here and just put some feelers out. Are you a San Francisco writer? If you are a San Francisco freelancer, writer, or simply someone who would randomly contribute to a news or magazine style website about SF, please feel free to email me here. I am simply gauging some interest at this point. Please also feel free to let me know which topics you create content about. 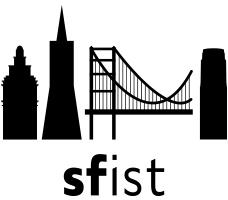 If you have insight as to why SFist closed or ideas about what they could have done differently, please feel free to comment below.